Thank you for your interest in our Computer Classrooms, Conference Rooms, and Auditorium Rentals. You can contact our office at 1-800-482-2233 or fill out the Class Rental Form for more information on the various rental rates of our training facility. Our facility is designed to meet all clients’ needs. Our classrooms are equipped with Projection equipment, sound, special lighting, whiteboards, Internet and phone connections as well as comfortable office chairs. We can assist you with catering arrangements as well as special engagements. Our Auditorium can accommodate up to 50 people comfortably. Our Conference Rooms can accommodate up to 12 people. Our classrooms can accommodate from 20 to 30 people. All fair credit laws, rules, and regulations apply. 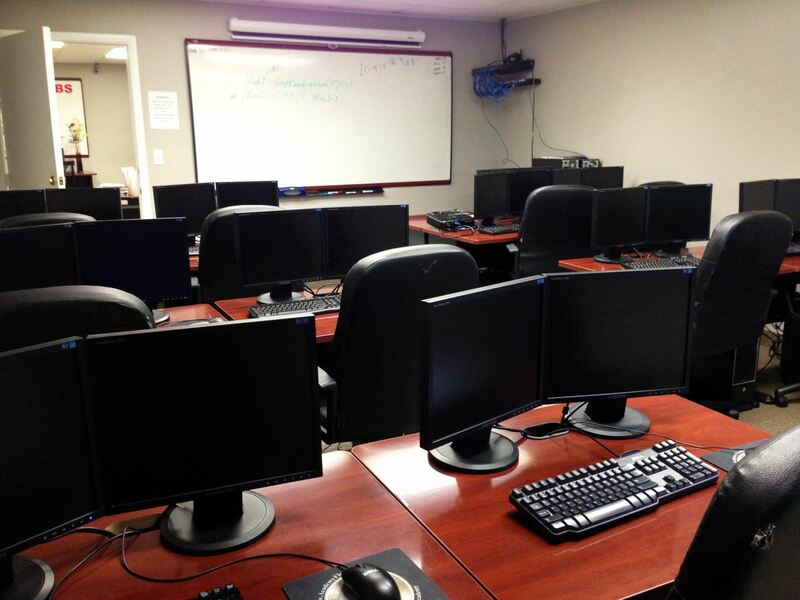 The standard computer lab is approximately 800 square feet and configured with 16 student and one instructor workstations. Our labs can be expanded to double the size through moveable walls that expand the space to twice the size. Our non-technical classrooms can seat 24-32 students comfortably. Several rooms share a soundproof movable wall that can be retracted to double the size and accommodations.